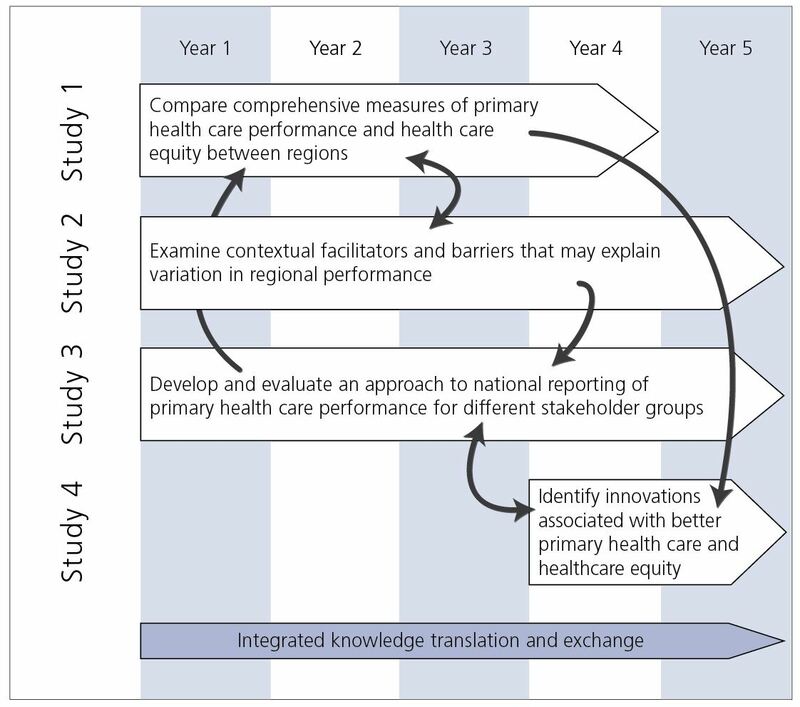 The TRANSFORMATION project depends on the consent and participation of 40 primary health care practices in each of three study locations. Primary care providers, like doctors and nurse practitioners, their patients, and the practices themselves, will complete surveys. The surveys will be linked to administrative health information, such as referrals for lab tests or admissions to hospitals. All of this information combined will be used to conduct four different but related studies. The results of these studies will assist health care decision-makers to be better informed by evidence, helping to transform primary health care across Canada.